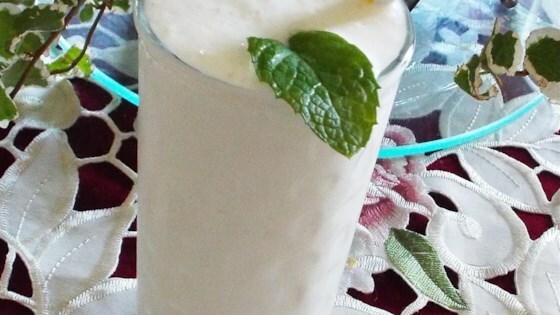 "This is my favorite milkshake recipe of all time! Super-quick, easy, and tasty!" Blend ice, milk, sugar, and vanilla extract together in a blender until smooth. Unbelievable what 3 ingredients and some ice cubes will do!!! So simple, so easy and so fast!! Absolutely delicious! This is a great recipe! I added maple extract instead of vanilla, and it tasted great! Great milkshake recipe. I added a dash of Mint extract and made a shamrock shake. I modified it using sweet condensed milk and Lactaid milk and added more ice cubes to thicken. It's really good!!!!!! I may try it with strawberries the next time! I added some mango and only added 1/2 cup of sugar. It was still too sweet. If I make it again i'll add even less sugar.